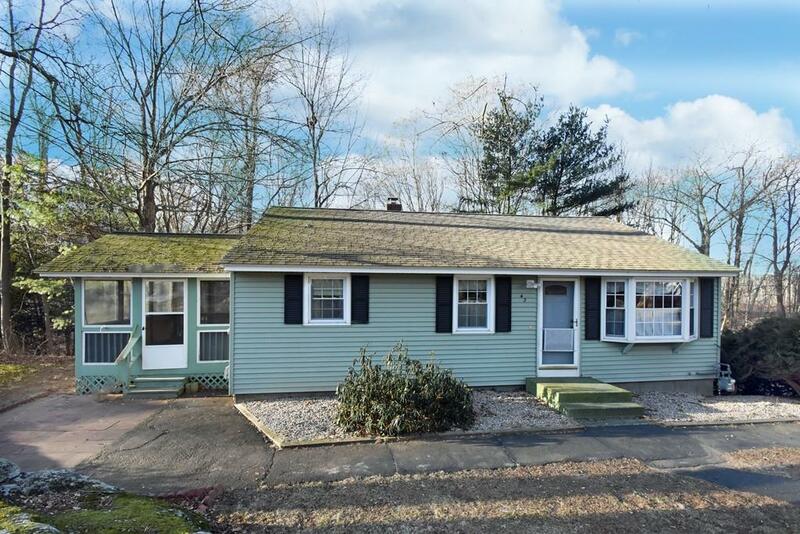 Lovingly maintained Ranch located on a cul-de-sac in desirable Millbury location! The spacious sun filled living room offers lots of natural light & leads you to the kitchen. Eat-in kitchen features ample countertop & space cabinets for plenty of storage & access to the 3 season porch! Down the hall is the master bedroom, a full bath, as well as 2 generously sized bedrooms all with sufficient closet space. Partially finished lower level offers storage space & a bonus room â perfect for family room/office/play room - be creative, bring your ideas! 3 season porch will make for the perfect place to unwind & relax after a long day during the warmer weather. Exterior features storage shed & paved driveway for plenty of off-street parking! New windows within last 5 years! Great Location! Close to Shopping, Public Transportation, Restaurants & More! Come see all this home has to offer!